Core Values Awards Winners 2018! In Quarter 3, we re-launched our Core Values to be more recruitment specific (with the inclusion of 2 new values that employees also felt represented the culture here) and launched our new peer-to-peer recognition initiative. It has been wonderful to see the nominations flooding in over the last few months; showing us how much our values are embraced and recognised across the business day-to-day. 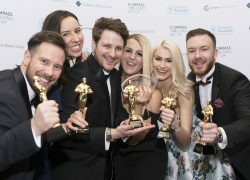 As the financial year drew to a close, our Senior Leadership Team met to consider all the peer-to-peer nominations, coupled with their own observations from the last year, and at our End of Year celebration, Awards were presented based on the Core Values, with the winners receiving an Oscar-style trophy and £500! Compass Associates are delighted to be supporting Care Home Open Day 2018 for the 6th consecutive year. Care Home Open Day is a wonderful opportunity to open the doors and connect with the wider community. We are proud to be sponsoring three homes in the Barchester Healthcare portfolio. This year, Compass Associates have provided support for three Barchester Healthcare homes, including Drummond Grange in Lasswade, Lothian, who will be entertaining guests with a live musician on the day, and Beaufort Grange in Bristol, who will have a Royal-Tea themed open day inspired by the Queen’s birthday. Both open day events will be taking place between 12pm and 4pm. Congratulations to Ben Cotton MIRP CertRP, Consultant for Compass Associates’ Care Home division who has been awarded Employee of the Quarter Q4 2017-18. Ben has been part of Compass Associates since December 2014 following 2 years of success at another recruitment firm. 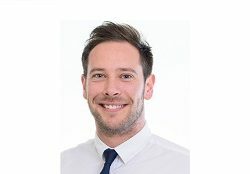 Ben covers the Midlands, London, East Anglia, Home Counties, South East and South West overseeing vacancies within residential elderly care homes. The bulk of Ben’s work surrounds Deputy Management, Home Management and Regional Management positions. Ben is well positioned to assist our clients utilising his extensive network and experience to execute the trickiest of assignments in what is becoming a candidate short part of the sector.